Episode 006: What is a CCRC, IL, AL, SNU, SA, MC? — Time for some Senior Care alphabet soup! 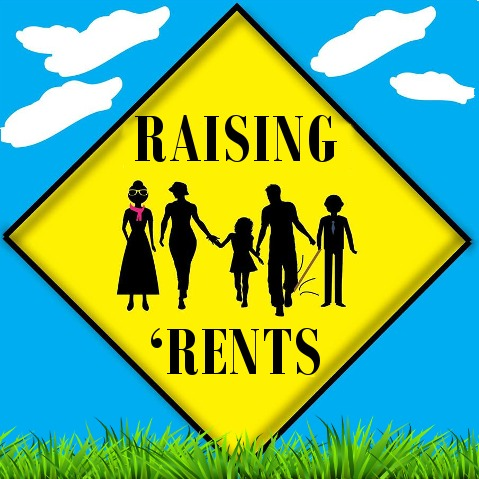 Discover Raising 'Rents (as in Parents) Podcast Episode 006: What is a CCRC, IL, AL, SNU, SA, MC? — Time for some Senior Care alphabet soup! Host Zack Demopoulos invites Barbara Davey as a guest to discuss what is a CCRC, IL, AL, SNU, SA and MC–all long-term care options that one day an aging parent or adult may need. Barbara is a Community Relations Director for a Continuing Care Retirement Community (CCRC). Host Zack Demopoulos launches his 30 day preparation plan to care for an aging adult. In Day 16, Zack talks about how prevalent senior scams are, especially around the recent issuing of the new Medicare Card, and how you need to have a conversation with your parents about this. Host Zack Demopoulos prepares to kick off Season 2 of Raising ‘Rents but before he does he shares a bonus episode on the transition of care for a family loved one who has been hospitalized and is being discharged. This one is a personal story about Zack’s Mom. It is the first time he is sharing on a personal note and plans to do more in the future. Host Zack Demopoulos launches his 30 day preparation plan to care for an aging adult. In Day 15, Zack talks about what is involved when it is time for your parents to down size and move. Host Zack Demopoulos launches his 30 day preparation plan to care for an aging adult. In Day 14, Zack talks about what it means when the term “aging in place” is used and how this may apply to you and your parents or an aging adult you know. Episode 023: Day 14 – What Is Aging In Place For Mom & Dad? Host Zack Demopoulos launches his 30 day preparation plan to care for an aging adult. In Day 13, Zack talks about being a long distance adult kid caring and worrying about your aging parent and some things you can do about it. Host Zack Demopoulos launches his 30 day preparation plan to care for an aging adult. In Day 12, Zack talks about how staying active as you age will keep go far in keeping you healthy. Host Zack Demopoulos launches his 30 day preparation plan to care for an aging adult. In Day 10, Zack talks about how important it is to stay on top of your parents hearing and some of the things to look for as they age. Host Zack Demopoulos launches his 30 day preparation plan to care for an aging adult. In Day 9, Zack talks about how important it is to stay on top of your parents hearing and some of the things to look for as they age. Host Zack Demopoulos launches his 30 day preparation plan to care for an aging adult. In Day 8, Zack talks about how important it is to stay on top of your parent’s eye health and some of the things to look for as they age. Host Zack Demopoulos launches his 30 day preparation plan to care for an aging adult. In Day 7, Zack talks about how many doctors an aging adult may have and what are the best ways to help your parent manage them and benefit most from them. Episode 016: Day 7 – So Many Doctors & What’s A Geriatrician? Host Zack Demopoulos launches his 30 day preparation plan to care for an aging adult. In Day 6, he talks about medication management, the risks of not complying, the polypharmacy issues, and the problems that can occur if medication is not managed correctly. Host Zack Demopoulos launches his 30 day preparation plan to care for an aging adult. In Day 5, he talks about what some of the signs are that Mom or Dad should not be driving anymore and how to take the keys away. Episode 014: Day 5 – Should Mom or Dad Be Driving? Host Zack Demopoulos launches his 30 day preparation plan to care for an aging adult. In Day 4, he talks about what to look for when you visit your mother and father’s house in terms of safety and aging in place. There are simple measures one can take to ensure that their home is as safe as possible. One of the primary goals is to make a home safer to prevent falls. Host Zack Demopoulos launches his 30 day preparation plan to care for an aging adult. In Day 3, Zack finishes up the three critical parts to Y.O.U as the caregiver. He discusses the importance of understanding your parents’ needs, the “U” in Y.O.U. “Y” stands for “Your Well Being” covered in Day 1. “O” is Overall financial situation—yours and your parents which he covered on Day 2. In this episode Zack talks about the importance of knowing and respecting your parents’ wishes and needs while walking the thin line of making sure they are living safely as they age and have prepared for the long term. He reviews the 9 Beginner Steps To Raising Parents as well. Host Zack Demopoulos launches his 30 day preparation plan to care for an aging adult. In Day 2, it is still all about Y.O.U. as the caregiver. “O” stands for “Overall Financial Situation, both yours and your parents.” Zack shares how important it is to not only help your parents with prepare for long term care expenses but you should plan accordingly as well due to caregiver costs that can unexpectedly hit you. Episode 011: Day 2 Are Y.O.U. & your parents financially prepared? Host Zack Demopoulos launches his 30 day preparation plan to care for an aging adult. In Day 1, it is all about Y.O.U. as the caregiver. “Y” stands for “Your Well Being” and Zack shares how important it is to ensure your physical, mental, emotional and social well-being are in a good place so that you can be the best caregiver possible. Episode 010: Day 1 – Are Y.O.U. Prepared To Be A Caregiver? Your well being is important. Host Zack Demopoulos continues his discussion with Wendy Sabin, MSW, LCSW (check out Episode 007 for Part 1: http://bit.ly/2sSpTIz) about how to hire a GCM (Geriatric Care Manager), resources they can help you with caring for your aging parents, Wendy’s dog Sophie who is training for pet animal therapy and how important this therapy. Zack also does a review of the ALCA (Aging Life Care Association) as in its members and its purpose. This show is dedicated to pet therapy animals—stick around until the end of the show to learn why. Host Zack Demopoulos invites Wendy Sabin, MSW, LCSW to talk about what a GCM or Geriatric Care Manager is, the name change from GCM to ALCA or Aging Life Care Adviser, why you would call one, what they do for you, and how she balances her professional care giving and personal care giving which you may be surprised by her answer. She also answers a listener’s question on how to handle an aging parent who is reluctant to move out of state to be near an adult child who can care for them. 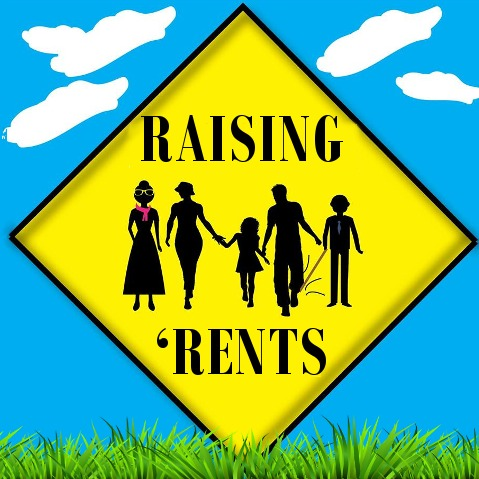 Raising ‘Rents Episode 007: Part 1: What is a ‘GCM’ and an ‘ALCA’ and why you may need one.